Scientists and philosophers argue that human beings are little more than puppets of their biochemistry. Writing in The Atlantic, professor of psychology and cognitive science at Yale University, Paul Bloom, explains why they’re wrong. “Another attack on rationality comes from social psychology. Hundreds of studies now show that factors we’re unaware of influence how we think and act. College students who fill out a questionnaire about their political opinions when standing next to a dispenser of hand sanitizer become, at least for a moment, more politically conservative than those standing next to an empty wall. Shoppers walking past a bakery are more likely than other shoppers to make change for a stranger. Subjects favor job applicants whose résumés are presented to them on heavy clipboards. Supposedly egalitarian white people who are under time pressure are more likely to misidentify a tool as a gun after being shown a photo of a black male face. Read the full article by Bloom in The Atlantic. Find Paul Bloom on Twitter. The Case Against Empathy in The New Yorker. 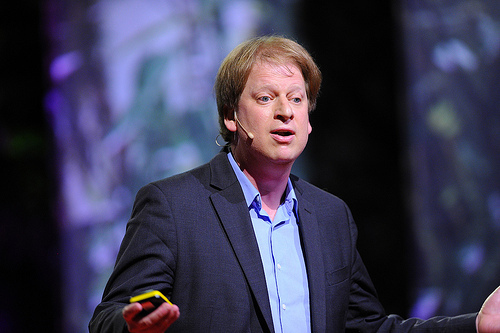 Paul Bloom talking at TED about the origins of pleasure. Paul Bloom speaking about The Psychology of Everything at The Big Think. This entry was posted in Reason, Uncategorized and tagged Paul Bloom, psychology, reason, The War On Reason.